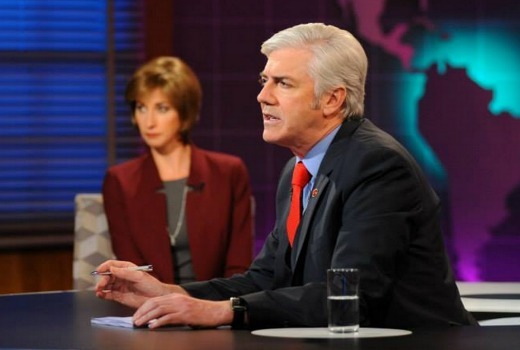 The second season of Shaun Micallef’s Mad as Hell for 2014 is nearing. Get ready for more of his half‐hour inoculation and crutching of all the news of the week, with a like‐minded ‘think tank’ of reporters and pundits. And more of those wild and wacky reporter names and EPG listings. It’s back from 8pm Wednesday September 24th on ABC and should pair well with Working Dog’s Utopia, at least for its remaining two episodes. Great news, love this show. There’s certainly plenty of material with this toxic govt. I have just released my kraken. Finally something worth watching on ABC (1) again! Are we able to book seats to the audience yet? I can’t find the options anywhere on the website. Great to have this back, if only there were more Checkout episodes to come this year too.